Schöneiche, 04 March 2015. 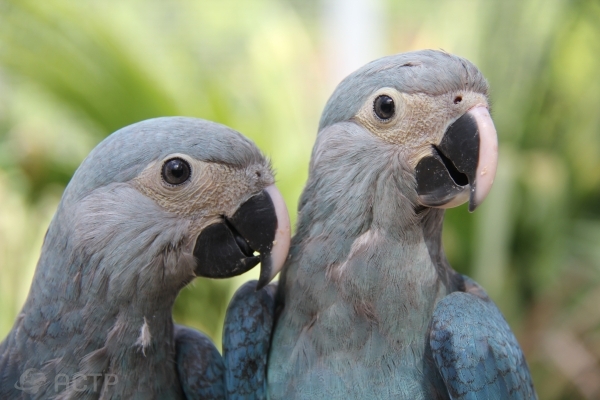 The emergence of two Spix’s macaw chicks in April of last year was a spectacular breeding success for the Association for the Conservation of Threatened Parrots e.V. (ACTP), which is based in Schöneiche (the Oder-Spree District of Brandenburg, Germany). The Spix’s macaw has been extinct in the wild for decades. The two birds have been named Carla and Tiago after the heroes of the blockbuster movie “Rio 2”. 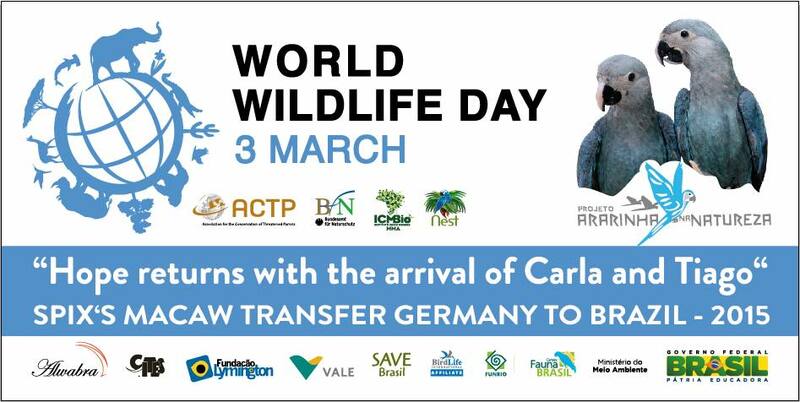 They were flown by airplane from Berlin to Sao Paulo and,on the occasion of World Wildlife Day on 3 March, transferred to the Brazilian government. The goal is for the Spix’s macaws to return to the wild in their original habitat in northeast Brazil as of 2021. Carla and Tiago’s exciting trip, which took place in close cooperation with German Federal Agency for Nature Conservation (BundesamtfürNaturschutz, BfN), began last Monday in Berlin, then continued to Madrid before finally ending in Sao Paolo. After their arrival in Brazil, both birds were immediately put into quarantine, where they will remain under observation for 15 days. 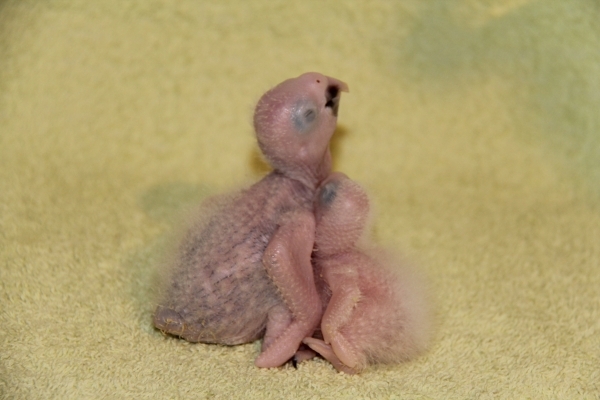 Afterward, they will be cared for in the national Spix’s macaw breeding project “Nest”. 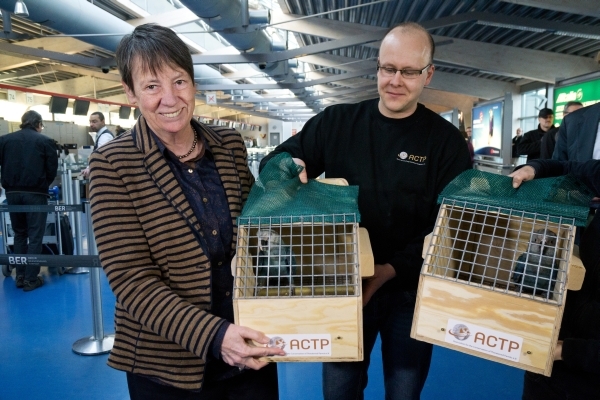 ACTP Curator Enrico Sydow: “We are very proud that we have not only achieved regular breeding success, but that we’ve also been able to once again transfer animals to our Brazilian partners. We are especially thrilled that a little man is there for the tenth anniversary of our breeding program.” Among the ten Spix’s macaws that live in Brazil, only two are male. The global breeding programs in Schöneiche, Qatar and Brazil record a combined total population of only 93 Spix’s macaws (53 females and 40 males). READ Will ACTP breed the Glossy Black Cockatoo for the first time in Europe? Together with other supporters, the ACTP has already obtained a 400 hectare area where the birds will later be returned to the wild. Furthermore, funds have been raised to finance the Blue Macaw School, which offers free lessons for children as well as some adults. In addition to these lessons, the local population will be made aware of the needs of the Spix’s macaw. Carla belongs to the Brazilian state, while Tiago was property of the ACTP. 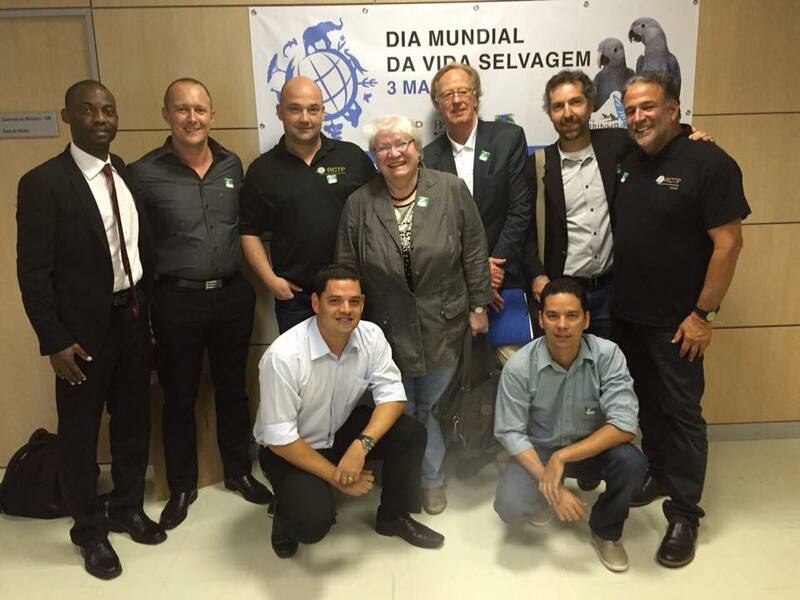 The association now transferred Tiago to the “Government and people of Brazil”, as the “Transfer of Ownership”certificate states, as a sign of solidarity with the program to return the Spix’s macaw to the wild. Although the story of the last Spix’s macaws in the “Rio” movies is fictitious, the huge success of the films has sparked a sudden rise in public interest about the endangered birds, according to Sydow: “Our extensive breeding program and the plan to return the Spix’s macaws to the wild would actually be the ideal screenplay for ‘Rio 3’”. The ACTP is a registered non-profit conservation organization in Germany that aims to preserve globally-threatened bird species and their habitats. Rare parrots serve as core species and ambassadors for the protection of entire ecosystems and bird communities. The ACTP develops innovative new methods to make parrot conservation projects sustainable. It initiates and supports conservation projects for threatened parrots, focusing on the protection of habitats and safeguarding birds against hunting and trade, as well as scientific studies of ecology and reproductive biology, population assessments, explanatory measures to raise awareness among local inhabitants and much more. The ACTP supports the establishment of breeding programs in the country of origin for the species that will potentially be returned to the wild, as well as outside breeding to build a secure population and to draw attention for donations. The overarching goal is to build and maintain sustainable populations in order to guarantee the survival of the species on the broadest possible basis. To achieve these objectives, the ACTP works together with scientific institutions, international agencies and wildlife conservation organizations, as well as the major community of institutional and private parrot breeders.